Danforth’s Balancing and Commissioning Team has qualified staff that can assist you in optimizing your facility’s indoor environment. Danforth understands that Indoor air comfort is extremely important to commercial tenants and is a major source of office vacancy. Another important component of comfort is water temperature throughout a facility. 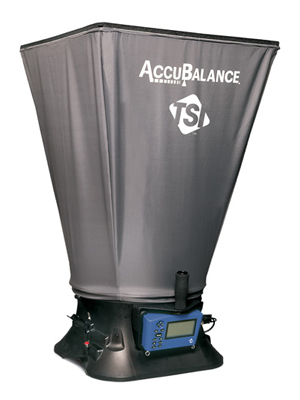 Balancing is the process of regulating airflow through an air duct system in order to evenly distribute airflow. Hydronics is the balancing of water flow throughout a building. The experts at Danforth perform both up to NEBB (National Environmental Balancing Bureau) standards. Commissioning is a means of documenting building system performance. This ensures that your facility is performing at optimal levels. Danforth’s commissioning professionals will observe how your HVAC system is operating and make suggestions to return it to maximum efficiency. Our Balancing and Commissioning Team is NEBB Certified and ready to ensure that your mechanical systems are working properly. Danforth performs Testing, Adjusting, And Balancing activities to maximize comfort and efficiency while reducing overall operating costs. Start Your Balancing & Commissioning Project with Danforth. Meet with one of our Balancing & Commissioning consultants. We’ll outline our process and begin your project estimate. Fill out an Online Estimate and we’ll reach out to you with a Balancing & Commissioning proposal drafted to your exact specifications. Get answers about our Balancing & Commissioning services and speak with a knowledgeable Balancing & Commissioning Expert.